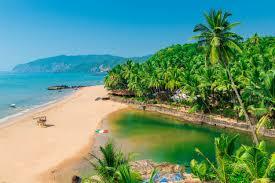 Goa, a tiny emerald land on the west coast of India, the 25th state of the Union states of India, was liberated from Portuguese rule in 1961. 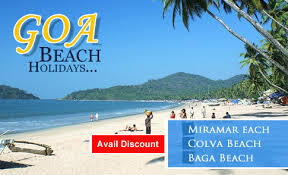 It was a part of Union Territory of Goa, Daman & Diu till 30th May 1987 when it was carved out of form a separate state. 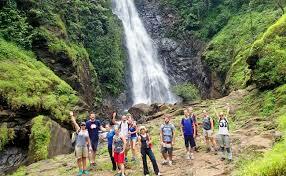 Goa covers an area of 3702 square kilometers and comprises two Revenue district viz North Goa and South Goa. 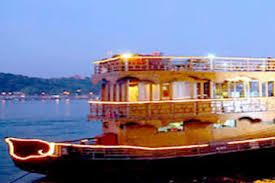 Boundaries of Goa State are defined in the North Terekhol river which separates it from Maharashtra, in the East and South by Karnataka State and West by Arabian Sea. 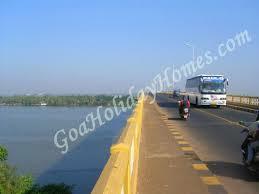 Goa lies in Western Coast of India and is 594 Kms (by road) away from Mumbai city. It is believed that the Gujjars belonged to this Solanki Dynasty because Pratiharas, the Paramaras and the Solankis were imperial Gujjars. Ancient Gujarat's last Hindu rulers were the Solanki clan of Rajputs from 960 AD to 1243 AD. It is also learnt, Karandev of the Vaghela dynasty was the last Hindu ruler of Gujarat and he was overthrown by the superior forces of Allauddin Khilji from Delhi in 1297. 6. Teaching Experience: ? 1964-68: Lecturer at Dr.S.K. Sinha Women's College, Motihari, Bihar. ? 1968-77: Principal at Bhartiya Shishu Mandir, Muzzaffarpur, Bihar. 9. Political Responsibilities and Experience: ? 1981-2014 Member, National Executive, BJP ? 2012-2014 Prabhari, BJP Mahila Morcha ? 2008-10 Prabhari, BJP Mahila Morcha ? 2006-08 Convenor, NGO Cell, BJP ? 1996-98 Vice President, All India BJP ? 1986-96 President, BJP MahilaMorcha ? 1980-86 Co-Convenor Women Cell, AIBJP ? 1980 Election Incharge, New Delhi, Parliamentary Constituency ? 1977 Election Incharge, Muzzaffarpur, Parliamentary Constituency ? 1975 Active Participation in Samagra Kranti led by Jay Prakash Narayan ? Member of BJP Disciplinary Action Committee for two terms. 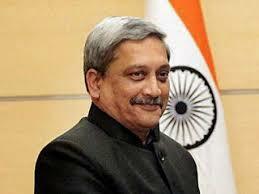 Shri Manohar Gopalkrishna Prabhu ParrikarManohar Parrikar is the new chief minister of Goa. He was sworn in as the chief minister of Goa. After the assembly elections BJP staked its claim to form the government in Goa and wanted a strong CM. He was serving as the Defense minister in Narendra Modi Government but resigned and took up his new job. In his earlier stints as Chief Minister of Goa, he served the state from 2000 to 2005 and from 2012 to 2014. He was a member of the Rajya Sabha from Uttar Pradesh but resigned after the 2017 Goa Legislative Assembly election to become Chief Minister of Goa. 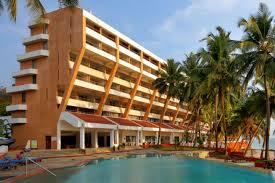 Manohar Parrikar's Early LifeManohar Gopalkrishna Prabhu Parrikar was born on December 13, 1955 in Goa's Mapusa. 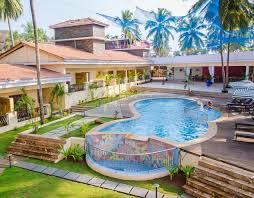 He did his schooling (primary as well as secondary) from Margao itself. His completed his schooling from Loyola High School, where Marathi was the medium of education. After that he got admitted to IIT-Bombay in metallurgical engineering and graduated in the year 1978. In the year 2001, he received his Distinguished Alumnus Award from his renowned institute. 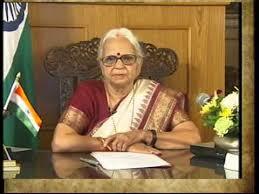 He was married to Medha Parrikar and the couple was blessed with two sons. However, in the year 2000 his wife died of cancer. Political Career of Manohar ParrikarHis journey from being an IITian to Chief Minister of Goa and now the Defence Minister of Goa is fascinating. Though the road involved bumpy rides but he made it through more or less smoothly. His political career started in the year 1994, when he became an MLA in the Goa Assembly. He soon climbed the organisational as well as legislative ladder to become opposition leader in the Goa Assembly in 1999 (from June to November). Parrikar went on to become the Goa CM on October 24, 2000 and continued to be so till February 27, 2002. However, he again became CM on June 5, 2002. government became a minority one on January 29, 2005. But Manohar Parrikar manoeuvre?d election machinery well and made a comeback in March 2012 Assembly elections with BJP and allies winning 24 constituencies. He was the Chief Minister of Goa until November 8, 2014, the date of his resigning from the position to assume another important position at the centre. Important positions held by Manohar Parrikar1988: He joined BJP and after he entered into the Politics. 1994: Elected to the Second Legislative Assembly of the State of Goa in first time. 1994 -2001: General Secretary & Spokesman, Bharatiya Janata Party on the Goa State. 24th October 2000 to 27th February 2002: Chief Minister and held portfolios of Home, Personal Finance, General Administration and Education. 5 June 2002: He was re-elected and became the Chief Minister again. une 2002: Re-elected to the Fourth Legislative Assembly of the State of Goa. June 2007: Re-elected to the Fifth Legislative Assembly of the State of Goa. Leader of the Opposition.